Kit anchors directly to Perimeter unit or another expansion kit to maximize training opportunity and optimize space and functionality. 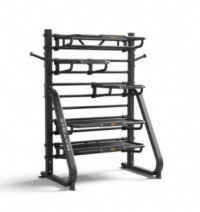 Enables you to create a circuit of unique stations or a small-group training area where multiple individuals can perform the same exercise at the same time. Ideal for functional training classes where users perform weight-bearing exercises that reflect their daily activities, Connexus gives club owners and trainers maximum flexibility, virtually unlimited expandability and the ability to offer immediate feedback to help refine user form. 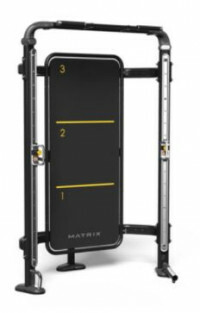 A variety of attachment points accommodate a wide range of accessories and training modalities, so you can create a class that serves each distinct group’s fitness level and unique needs. Opti-Fit is the leading provider of planning, design, supply and ongoing maintenance of fitness equipment in California and Nevada. We support both commercial organizations and home gyms. We provide all of the products needed, including cardio equipment, treadmills, elliptical machines, rowing machines and rowers, upright, recumbent and spin exercise bikes, strength stations, free weights, benches and racks, home gyms, specialized fitness equipment, FIT systems, entertainment systems, and supplies and accessories. With offices in Sacramento, Pleasanton and Las Vegas, we support communities across California and Nevada, including Sacramento, Roseville, Folsom, Rocklin, Citrus Heights, Carmichael, Rancho Cordova, Pleasanton, Dublin, Concord, Walnut Creek, Berkeley, Oakland, San Francisco, Palo Alto, San Jose, Mountain View, Santa Clara, Sunnyvale, Milpitas, Fremont, Livermore, Vacaville, Fairfield, Vallejo, Davis, Redding, Napa, Sonoma, Santa Rosa, Santa Cruz, Las Vegas, Henderson, Reno, Tahoe, Los Angeles, San Diego, Santa Barbara, San Luis Obispo, and Orange County.